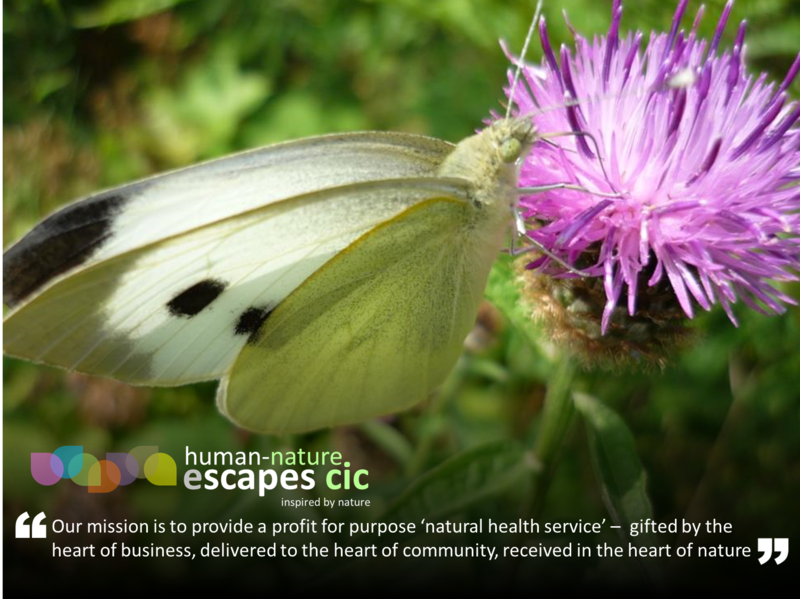 To provide a profit for purpose ‘natural health service’ – gifted by the heart of business, delivered to the heart of community, received in the heart of nature. We’ll also promote care and conservation of the natural environment, educating on its importance to human wellbeing. We’ll use our own ‘lived experience’ of wellbeing recovery, as ‘experts by experience’, to design and deliver pathways which support recovery and longer term resilience for other individuals. We specifically aim to support working individuals (and those aiming to return to work), seeking complementary support to talking therapies or some additional non-medical support to overcome issues like workplace stress, minor/moderate depression, anxiety, or bereavement loss. 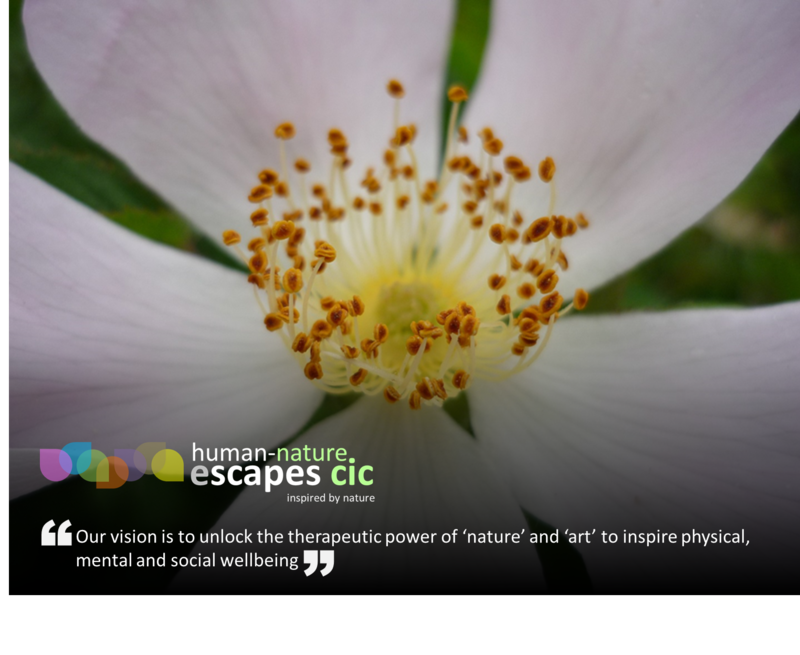 To unlock the therapeutic power of ‘nature’ and ‘art’ to inspire physical, mental and social wellbeing. We aim to do our bit to ‘infect the NHS with wellness’ through ‘health creation’. This is where people within workplaces and communities take action themselves to preserve their own wellbeing. for individuals – As a therapeutic intervention and a pathway to recovery and to achieve on-going resilience and a means to stay fit and well. for community – As a means to promote the ‘wellness’ message through Ways to Wellbeing and by providing access to health promoting activities involving nature, art and green exercise. for business – As a source of inspiration for corporate team building ‘escape’ away days, events and activities. We aim to release the untapped creativity within a business team and promote higher levels of workplace wellness, leading to improved employee engagement – whilst at the same time increasing the team’s environmental awareness. Lastly to enjoy ourselves, maintaining our own wellbeing in doing so – yes, we benefit too!